Check out our Multiple Manifesto! New! We're attempting to unhinge from our business and go full-time content creation to finish up all our online projects, books, etc. Please help support us in this effort. New! We have rebooted the Many Minds on the Issue podcast, as a patron-supported project. Please check it out and spread the word. Note I've published the first book of a series relevant for multiples, there's also the United Front Boot Camp, I'm a life coach New and can help address goal setting, internal relationships, cooperation, and community within the system. Longer Biography - in progress, needs editing. 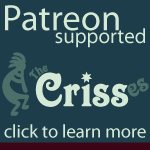 The Crisses Defined - What's in a name? Headmaps New - an archive of headmap artwork over the years. Our Concerns - some of the causes we believe in and are willing to get into a fight over. Update Log - Log of changes to the website, our various projects, our life, and our head. Ongoing Obituaries - (external) people in our lives who are gone but worthy of mention.